Ty Segall’s Goblin Phase One North American tour is just about over. Whoa. EPIC. Now that he and the Freedom Band have knocked the rust off cages all around the country, it must be time to get alone, right? Yeah man! For a couple weeks – then the European tour. So, alone time later in June, then? Sure, for a little minute. But then it’s time for the BEST kind of alone time – a solo acoustic tour. Just Ty, the guitar – and you. Sounds intimate, huh? Well, ol’ kid can work up a storm even with only six semi-unplugged strings at his disposal. Extra excitement will be churned by Ty doing all sorts of songs he doesn’t usually play. It’s gonna be great! Acoustically speaking, we can’t wait. 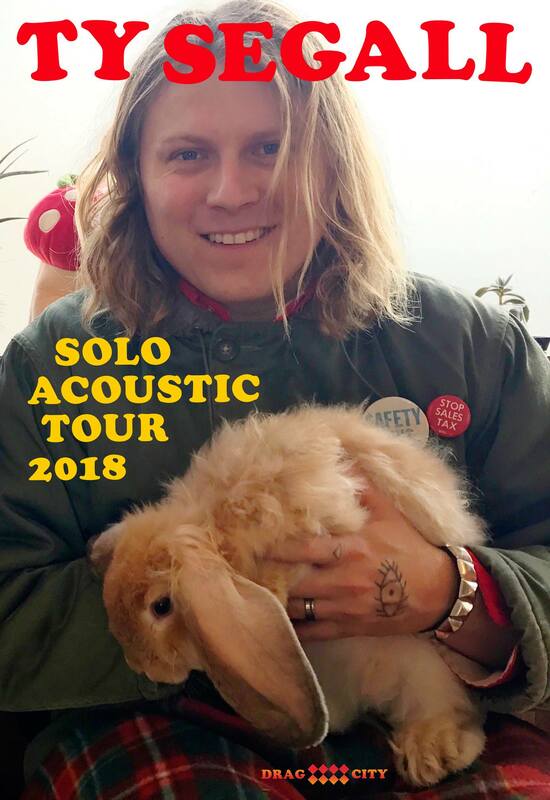 Ty Segall goes acoustic! Coming in October.